Concurrent with the upcoming TV series production, almost 400 pieces of platform-specific original content have been custom developed, including shorts, vlogs, web and mobile games, and interactive narrative content – and all will be enhanced with proprietary technology allowing fans to participate in the world and collect their favorite swords. Cartoon Network is Turner’s #1 U.S. ad-supported cable network with kids 6-11. Seen in 192 countries and over 370 million homes, it is an industry leader with a global offering of the best in award-winning animated entertainment for kids and families, known for putting its fans at the center of everything by applying creative thinking and innovation across multiple platforms. Home to the original hit series Adventure Time, Steven Universe, We Bare Bears and The Amazing World of Gumball, Cartoon Network also takes its responsibilities to its audience seriously by addressing issues affecting families with the Stop Bullying: Speak Up campaign and by promoting education and creative development through its commitment to STEAM enterprises and an integral involvement in Computer Science for All, the White House initiative empowering young people to generate skills to thrive in our digital world. 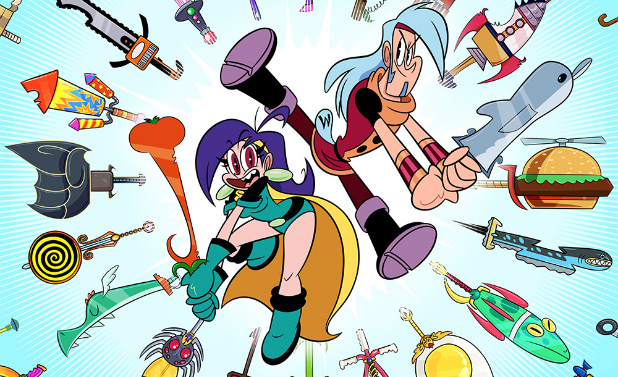 Cartoon Network is part of Turner, a Time Warner company that creates and programs branded news, entertainment, animation and young adult multi-platform content for consumers around the world. Turner brands and businesses include CNN/U.S., HLN, CNN International and CNN.com, TBS, TNT, TCM, truTV, Cartoon Network, Boomerang, Adult Swim, Turner Sports, Bleacher Report, iStreamPlanet and ELEAGUE. Tagged 2d Animation, 2D Animator, Cartoon Network.